If you send marketing email such as newsletters, email promotions, announcements, and special offers, sending one master email to your entire list might be doing more damage than good–both to your engagement and to your sender reputation. How does segmentation affect sender reputation? Internet Service Providers (ISPs) evaluate how your recipients interact with your email when deciding where your mail will be placed. If most of your users are unengaged, the ISP probably doesn’t think your email is very important and may deliver it to the spam folder. Segmenting emails, a tactic every email marketer should (and can!) master, produces relevant and valuable messages that your recipients are more likely to read and respond to. Email segmentation helps you to take your messages from an email blast “one-to-many” approach to more of a “one-to-one,” personalized communication. 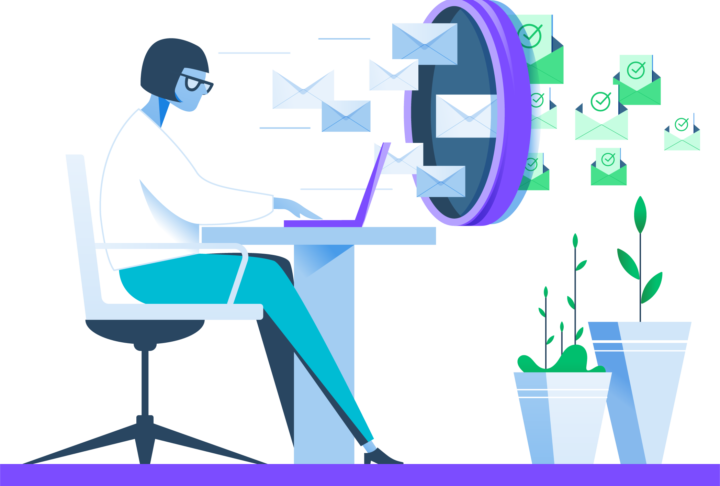 Email Service Providers (ESPs), like SendGrid, provide email metrics and engagement analytics that can help determine segmentation groups so you can fine-tune your messages so your recipients are excited to engage with your email. Demographics: Who are your recipients and how are they different? Customer information/insight: What service plan/level are they on, how much are they spending, and when did they join? Email Types: What types of email, transactional or marketing, are you sending? Engagement: Who is opening all emails, just some, or hardly any of your messages? Activity: How often are your recipients logging in, buying, or using your product or service? We dive deeper into each segmentation area below and provide examples that illustrate how you can better target customers and maximize your email delivery and engagement. With SendGrid's Marketing Campaigns you can use custom fields to store any insights about your customers that will help you send the right content to the right recipients. For example, how might the images in a promotional email differ if you were sending to a segment of your male customers vs. your female customers? You can leverage text fields, number fields, or date fields when using custom fields. Each offer their own segmenting options, for example, segment by text fields that “contain” certain characters, or a date field that “is within” a number of days. Whether your users reside in different areas of a state or in different countries across the world, it’s important to know where your recipients are. When you know this, you can customize your content based on location to make sure your message is more relevant. For example, you wouldn’t want to send a Fourth of July promotional email to a segment Canadian recipients. Track when your recipients are opening and interacting with your email so that you can schedule your emails to land at the top of their inbox at or right before that time. Learn more about this segmentation practice in our blog post, Two New Email Segmentation Techniques. Men and women may read into and interpret communication differently from each other, and even more so depending on the product or service they receive email from. Although it might not make sense in every situation, segmenting by gender is a simple, yet impactful way to create recipient segments that allow you to deliver personalized content. Just note that you may have to request the recipient respond to a survey in which they indicate their gender. Depending on your product or service, it may make sense to ask new users for their age or age range as well. If you’re not sure about asking gender and ages from everyone, perform an A/B test with a select group of recipients to gauge how they respond. If it’s favorable, go ahead and open up the question to your entire list. When you know the occupation of each recipient, you can cater the message around how they’ll most likely be using your product. 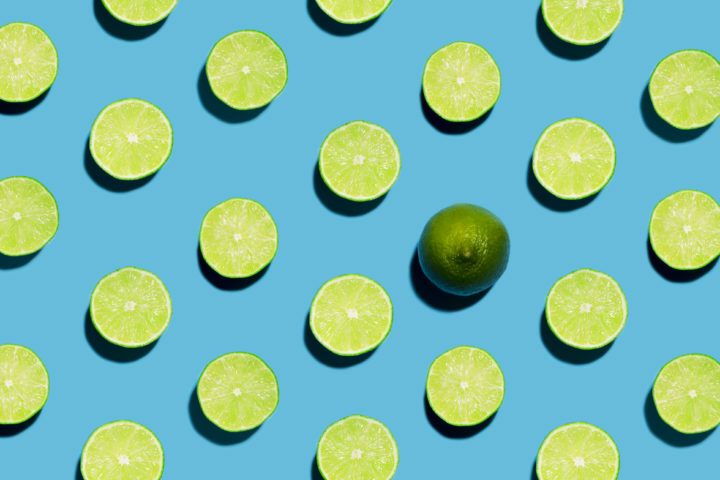 Whether they are a creative director at a small agency or an accountant at a large corporation, segmenting by occupation helps improve your message relevance and craft creative messaging. Start your new users or first-time buyers off right by focusing your messages on subjects and actions that will extend their relationship with you. Sending a personal welcome email is a great way to achieve this. Read more about welcome emails. Separate email recipients who are actively using your site or purchasing your products into a frequent user segment. These recipients are consistently opening and interacting with your email. Consider these users to be your VIP recipients–make sure you treat them that way by extending them special offers and discounts and surveying them to get a better understanding of how to improve your program. For companies that offer free trial periods, driving these subscribers to convert to a paid version is the next likely step. 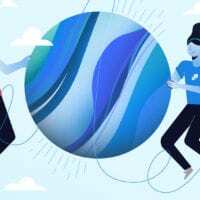 Your communications with these users should focus on how they can get started with your product and make the most of your paid product’s features and benefits. If you have free or low paying users, you may want to nurture them into upgrading. Free trial users don’t always turn into paying customers. But you can still glean value from them by reaching out with a feedback survey or other communications to learn what you can improve on in the future. 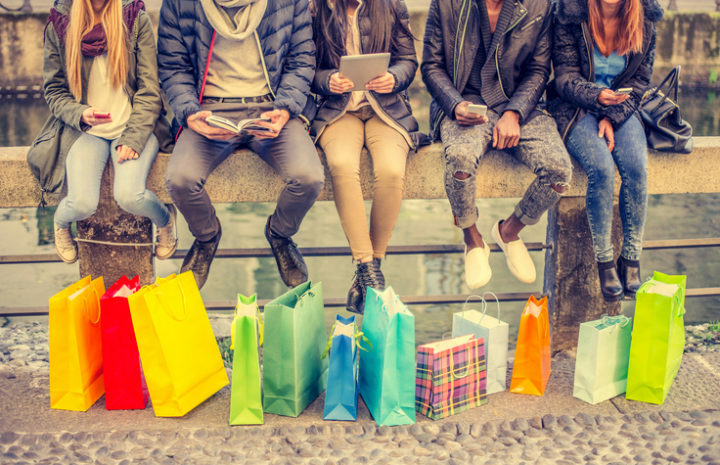 Customers spending higher amounts on your product or consume your service the most are likely interacting much differently than the customers who spend the least amount of time with the service or product. Approach communications with these two distinct groups by segmenting them during marketing campaigns. Show lower volume users or buyers all of the benefits and features they are receiving currently or could receive by upgrading in specialized nurture campaigns. And offer more incentives to valuable, long-standing customers to retain their business. 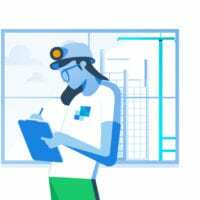 For those looking for a way to automate a way to keep contact data current, and have access to a developer, SendGrid's Contacts API includes data that's updated on a daily basis. This is especially useful for data that changes frequently, such as "last website visit." Dive into your email program analytics to determine your most active and engaged users. Create a segment of these most engaged recipients and send any new email communications to them first. Not only will you learn more about the effectiveness of your content from each send, but it will help you maintain a solid sending reputation. Dive even deeper into recipient engagement and segment who is opening your email and who is opening AND clicking on your CTAs. This way, you can determine who was intrigued by your subject line, who dropped off after reading your content, and who actually took action. Those who both open and click should be included in your target openers segment, mentioned above. Separate those who were once involved with your brand, but have stopped interacting or responding to your emails from the rest of your list. But don’t just give up on these users just yet! Send inactive users re-engagement and win-back campaigns. If inactive recipients don’t open or click on links within your email in a few months, it’s time to remove them from your list completely. Ultimately, inactive users do more harm than good to your email marketing list, so it’s better to say “goodbye” than risk them marking you as spam. Consider allowing your users to respond to your emails. SendGrid customers can use the Parse Webhook to remove the “donotreply” address in their message–allowing them to simply reply to the email message. This can provide great feedback about the emails you’re sending by making these email marketing a two-way street. Learn more in the Inbound Parse Webhook Guide. If you have access to more sophisticated tracking, you may want to segment your marketing emails based on what products or services your users are viewing on your website as well as their purchase history. Keep track of what your recipient purchased most recently and then include complementary products and services in their next email. Depending on the other tracking services you use, you can see what pages on your website caught their attention most (based on clicks and time on page) and then send messages about those specific products. In today’s email ecosystem, email blasts aren’t going to cut it. But email segmentation doesn’t have to be as daunting as you might think. 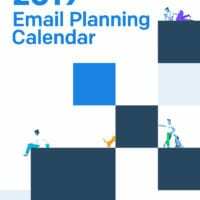 SendGrid’s Marketing Campaigns allow you to build a powerful email marketing platform with precise segmentation techniques. Read up more on Marketing Campaigns and start sending thoughtful and segmented email today. By using SendGrid's Event Webhook, you take a more granular look at how people interact with your emails. For example, you can see which links within the email are being clicked the most. Then you can use that data to improve future communications. Creates meaningful and valuable email content for each particular individual on your list. Helps you maintain a strong sender reputation. Increases your engagement because you’re building a personal communication with your recipients. Email segmentation doesn’t have to be overly complicated and time-consuming. 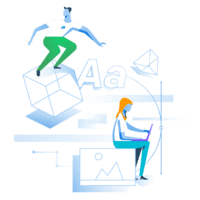 If the thought of creating customized content for every type of user, demographic, or engagement level feels a bit overwhelming, take a step back and identify easy-to-implement ways to tweak content or images in small efficient ways before starting at ground zero for each segment. Small adjustments can have a big impact.